His name is a catchy song, he's the only mouse welcomed into your house, and he knows the 2nd mouse always gets the cheese...he's Mickey Mouse! Disney-fy that coffee, tea, or oval-tine with this 18 oz. 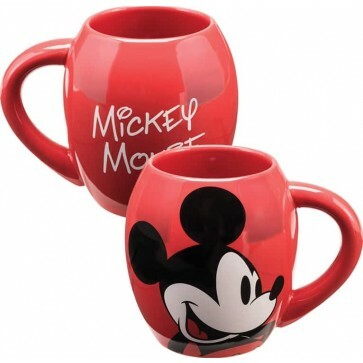 Ceramic Oval Mug featuring a bold, bright design of your main mouse. Dishwasher/Microwave friendly.